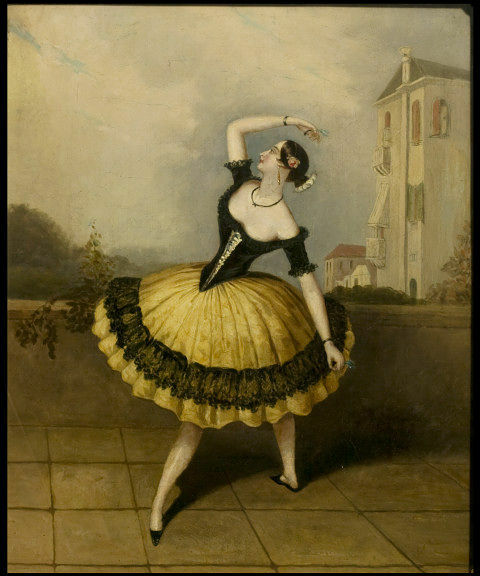 On a terrace, before a low wall, with a square building to right background and low bushes to left, stands a full length female figure, facing left, wearing the Romantic Ballet version of a Spanish dress, with front-laced low cut bodice and short sleeves and knee-length full skirt with deep flounce of black lace above the hem. 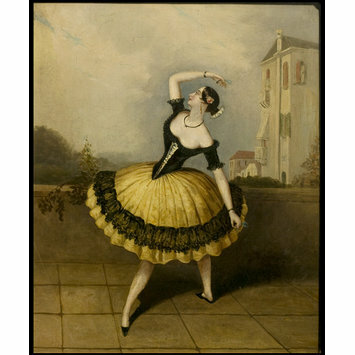 She leans back from the waist, her left leg extended to front, her left arm curved over her head, her right arm held down, and she holds castanets. 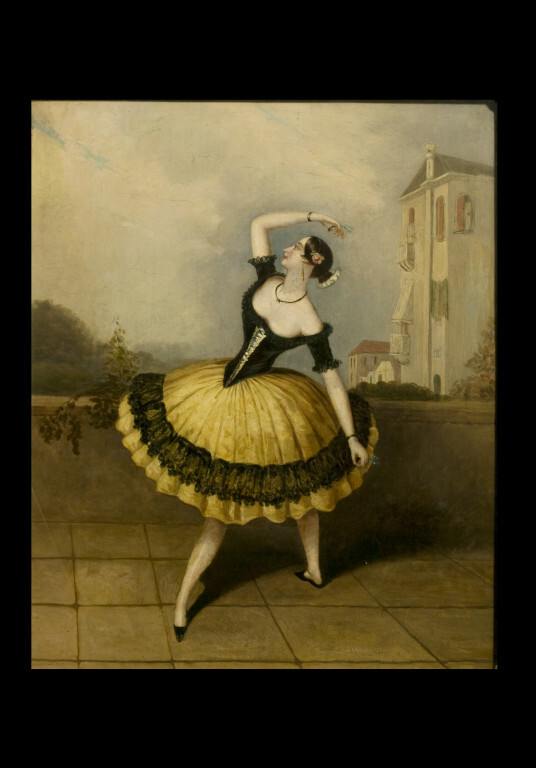 Las Boleras de Cadiz was a Spanish dance performed by Marie Guy-Stephan in the divertissement L'Aurore at Her Majesty's Theatre in 1843. The following year, a lithograph by C G Lynch after a drawing by J H Lynch, of which the painting appears to be a copy, was published by William Spooner. The painting shows the dancer in the same pose, the same building appears background right, but the detailed depicition of the Scuola di San Marco in Venice which appears to left centre and the building at extreme left in the print is replaced in the painting, with a low bush to left background. The painting came to the Museum as part of the Cyril Beaumont Bequest.